Here are a few of my favourite articles and blog posts from October. 1. New challenge – overwintering vegetables: I think many folk still see the fruit and veg and season beginning in spring and wrapping up come the autumn. I was certainly one of these people. The truth though, if you plan well, there are many crops that can be grown and harvested throughout the winter. The muddy gardener is taking the opportunity to do just this in the veg garden of The Queen at Brandeston pub. 2. Beetroot and Ginger Soup: Beetroot is one of those crops that is not only brilliant fresh from the plot from the summer, it also stores well too. If, like one half of those Agents of Field Sophie, you get a craving for a good ole Borscht, then take a looksee at this fantastic recipe. Serial Killer hands not necessary. 3. How to dry chillies – 3 easy ways: Growing chillies is increasingly popular. And why on earth not!? With a huge choice of varieties to grow with a range of heat and of course flavour, these little packets of dynamite are incredible in the kitchen garden. As Alexandra points out, the only issue is they all come along in one big hit. Never fret. Here are 3 easy ways to dry and store these babies until you need them for a slap of heat in your dinner. 4. Of Cabbages and Kings: It’s a bit of an art isn’t it? Successional planting I mean. Like many of us, Claire is still perfecting the craft. Swimming in cabbage and caulis. However, as she lives and learns with experience, there’s always a great roast cauliflower salad to get your gums around. 5. Four salads and a muffin: The incredible organic, no-dig kitchen gardener Stephanie Hafferty is not only brilliant at growing an abundance of veggies on her and Charles Dowding’s inspiring plot, but she also works her magic in the kitchen, turning the beautiful bounty into delicious dinners. Steph has provided 5 incredible recipes in a guest blog for Mr Plant Geek, Michael Perry. 6. My Budget Greenhouse, Six Months On: I really enjoyed this post by David Lifton because it fits with my own enthusiasm for trying to make kitchen gardening easy, affordable and accessible to as many people as possible. David has run a little experiment. Wanting a greenhouse earlier this year but having neither the budget nor the means of transporting a fully glazed one to the allotment, he settled on a budget plastic greenhouse. Here’s the result. 7. 4 Tastiest Crops of 2017: One of the great things about kitchen garden blogs and the fantastic community of online growers is sharing experiences and making recommendations of super crops to try. In this post, Nic shares her own recommendations of the tastiest crops she has grown in 2017. 8. 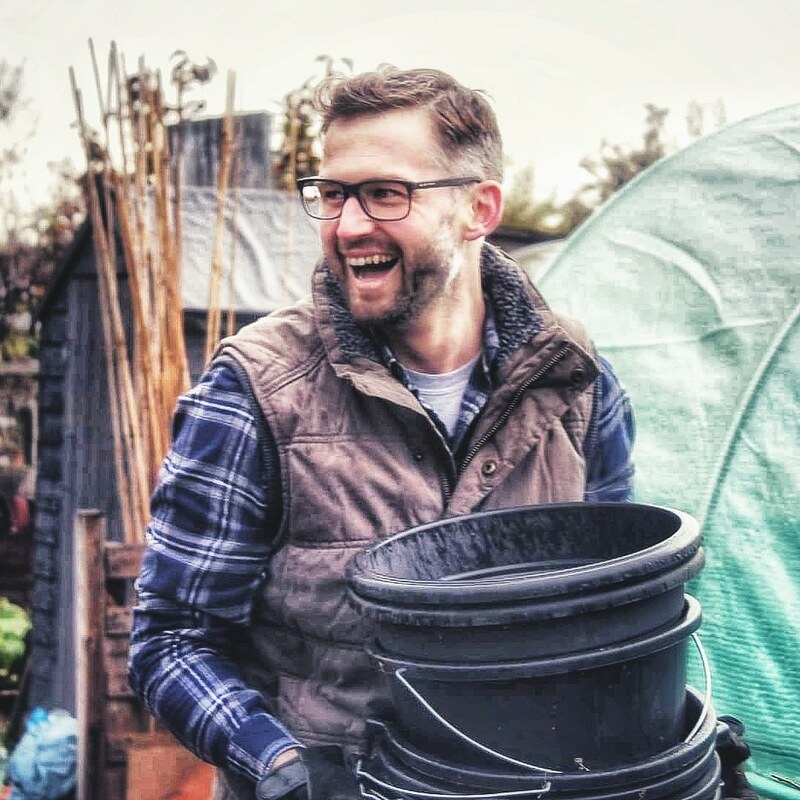 How to Get an Allotment: This post by Jono took me back 10 years when I made one of the best decisions in my life and put my name down on the waiting list for an allotment. Anyone who makes this decision can easily be forgiven for thinking that adding the name to the waiting list is all that it takes – and in a perfect world that might just be the case. However, for many reasons, allotment site management is not perfect. When it comes to getting your first plot, there are some things you can do to help the process move along. 9. Salvage: Oh how I have missed her! Beryl was one of the first bloggers I followed when I started in the allotment gardening cyber world and she’s been both a source of information and support when I needed questions answered and the provision of some useful tips. Beryl has been taking a break away from plotting to follow up with another of her passions. It’s great to get an update from her about where she’s been hiding and how the allotment is looking. 10. The 10 Best Pumpkins to grow for Eating: If you read my blog post last week, you might remember I suggested this post from Tanya then. However, just in case you missed it, I’m mentioning it here too. I want people to see the many wonderful varieties of pumpkin there are available which really look and taste incredible. We can do so much better than the horrid, orange footballs the supermarkets stock at this time of year. Here are ten of Tanya’s best. I speak truth 😊 Its just jolly good to have you back with a blog or two. Thanks for the round up, enjoyed these.